The Company’s Risk Management and Mitigation framework is aligned with ISO 31000. The framework is reviewed from time to time to ensure its effectiveness in line with the changing business dynamics. The framework identifies all the possible risks that the Company might be exposed to, including their categorisation based on their severity, for regular monitoring and reporting. The policy identifies risk ownership, accountability and mitigation procedures. It is the endeavour of the Company to strengthen the control environment on a dynamic basis with a view to lower the overall risk profile. The Risk Management Policy lays down guiding principles, policies, a risk organisation structure and MIS, incorporating the requirements of Corporate Governance as well as some of the industry best practices in order to manage risks. Pursuant to the risk management policy, the Company presents an enterprise-wise approach to ensure that key aspects of risks that have an enterprise-wide impact are considered and contained in its conduct of business. This policy document also serves as a guideline for respective components of risks which have a common resonance across the Company. 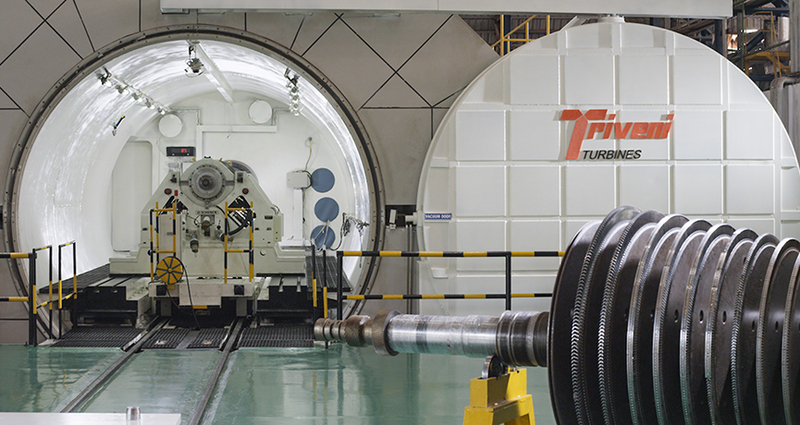 The Company’s business relates to manufacture and sale of steam turbines which falls under the capital goods industry segment and is closely linked with the country’s economic activities, domestic and global, as well as the sectors wherein the Company’s products are used. Even though several factors relating to the industry are not within the control of the Company, it strives to mitigate the externalities in the best possible manner by ensuring diversified streams of revenues and avoiding over dependence on any sector/s or geographies. Further, the Company is responsible for designing and implementation of sound Internal Financial Controls over Financial Reporting. The Company has laid down such procedure and periodically assess its operational effectiveness by conducting reviews of all Risk Control Matrix. This Control System provides reasonable assurance that the conduct of the business is operating in an orderly and efficient manner including adherence to Company’s policies, safeguarding assets and prevention and detection of frauds and errors, if any, the accuracy and completeness of accounting records and timely preparation of financial information.